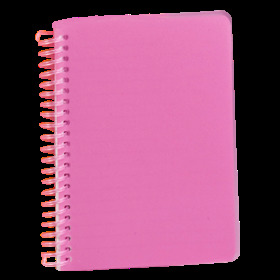 Note Book Spiral A6 120Pgs 4Asst. A6 Size - 15mm Wide Spiral. Green | Blue | Pink. Book has Matching Colour Spirals. 70gsm | 0.5mm PP Cover. 83G Packaging: OPP Bag.